Barrington Services & Map - Dogs Love Running! 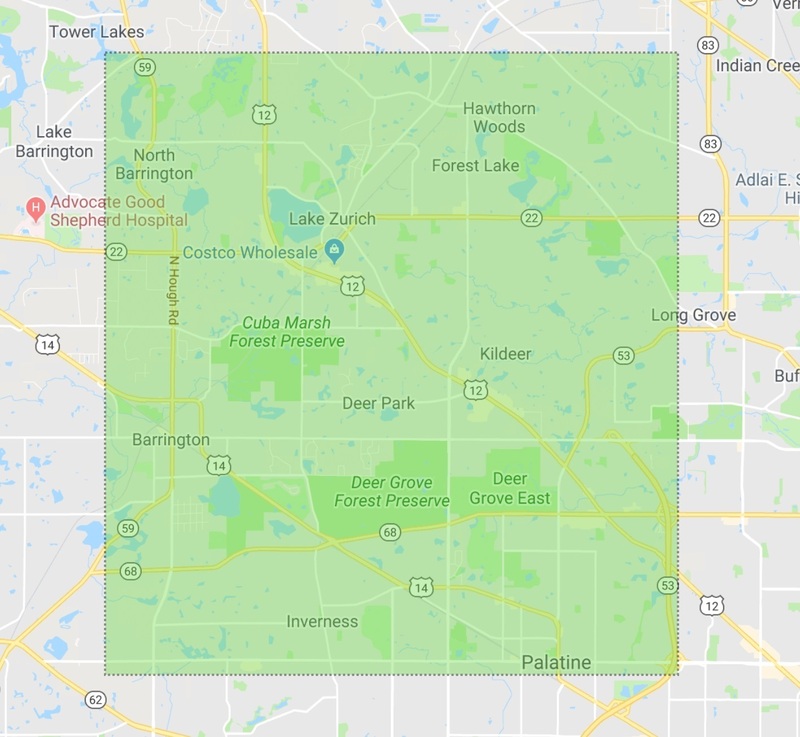 We Serve: Barrington, Lake Zurich, Hawthorn Woods, Kildeer, Deer Park, Inverness, northern Palatine, and the surrounding areas. Check out the map below to see the areas we cover (in green). If you live pretty close by but not in these specific zip codes, you should still contact us because we may still be able to help (or can possibly direct you to someone who can).